Echoes of the Victorians and their enthusiasm for trade and travel are emerging within interior design - quite a contrast to the popular Scandi styling that we're all familiar with. This new palette mingles different influences and materials in the same space, combined with colours reminiscent of far-flung places. Imagine you’ve discovered a treasure chest – open the lid and dive in! 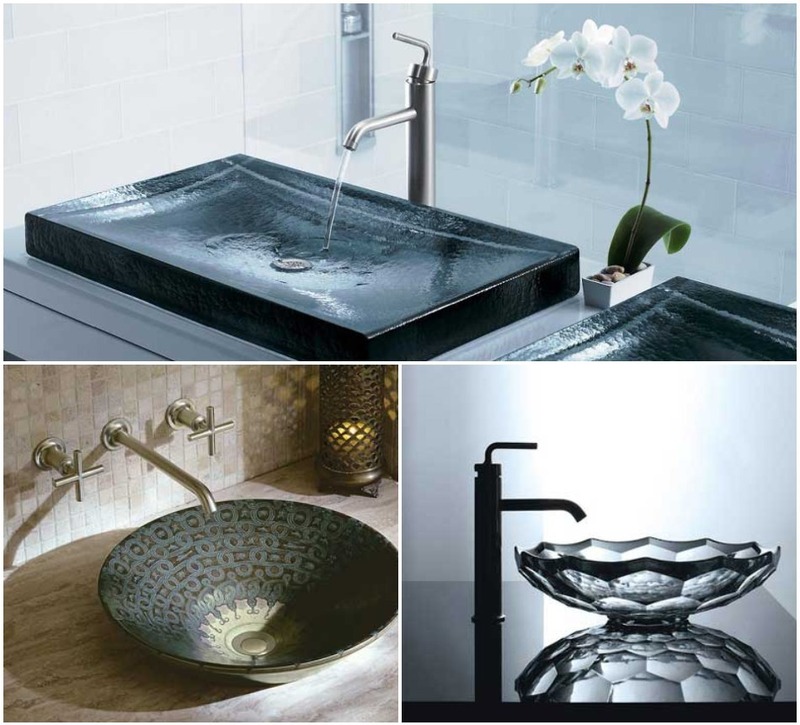 These exotic influences are equally apparent in current bathroom trends. Vintage is making a comeback with ornate, yet modern fittings and accessories. The styling is all about detail and you'll notice chrome taking a back seat. Think freestanding baths with metallic finishes, antique units, taps and fixtures in gold or brass, in addition to darker framing for shower screens and enclosures. All tones of blue will be popular in bathrooms this year, with navy making a strong return and being heralded as the new black! Used in combination with gold accessories and fittings, navy blue helps to create a look of calm, understated elegance. Hints of rich turquoise and indigo deliver a sophisticated combination. Team with bold accessories or metallic finishes to create a warming, welcoming ambiance. 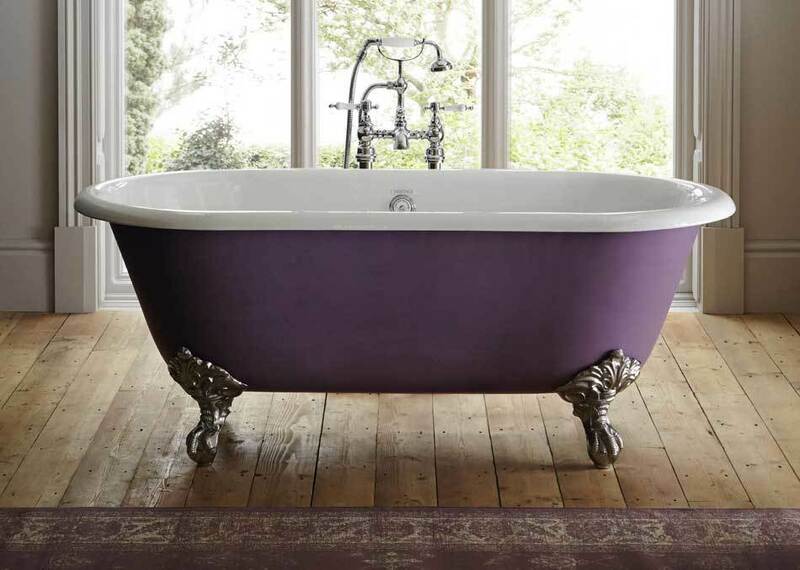 Heritage's Buckingham cast iron baths have one of the best quality finishes available. They also feature a lifetime guarantee for complete peace of mind. You can see Buckingham on display at our Grantham and Derby showrooms. Roll top baths are naturally reminiscent of times past and traditional grandeur. 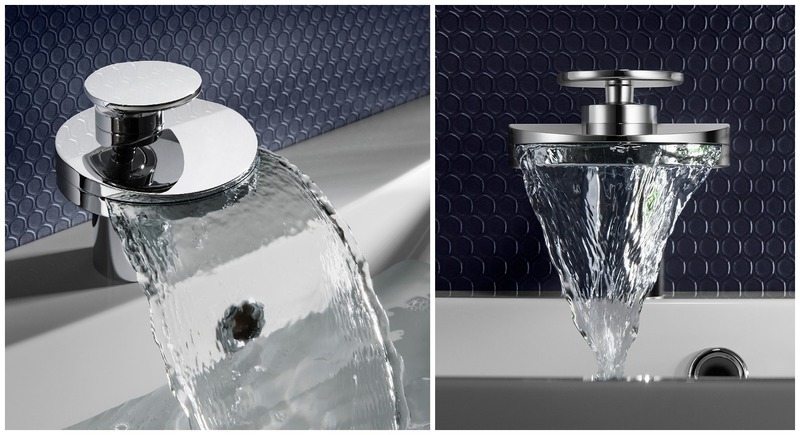 Metallic claw feet, classically curved sides and vintage style taps are the details to look for. If you’re a little more ambitious, paint the underside in a dark jewel shade such as ruby, amethyst, or sapphire. 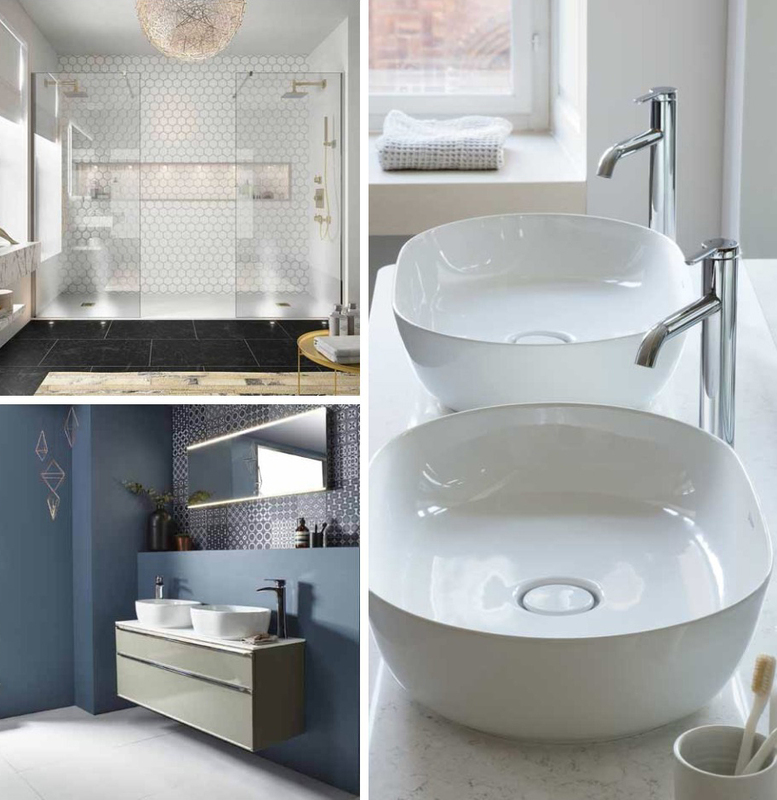 Bringing colour into the bathroom includes basins. Subtle shading allows them to blend with current colour trends, avoiding the starker contrast of the usual white. 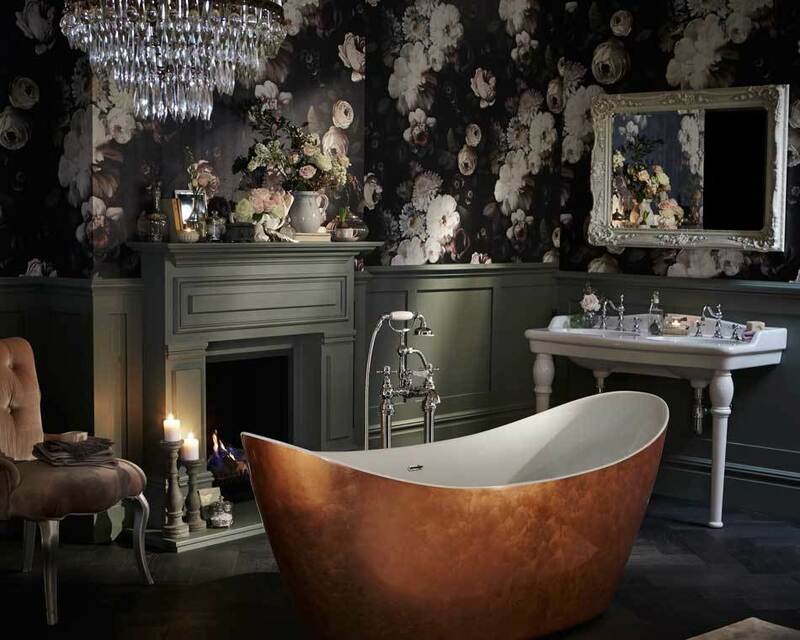 You can inject some real Victorian glamour without a complete bathroom re-design. Taps, fittings and lighting in rose gold, copper, or brass are the accents to look for as the metallic trend continues to gain momentum. Gold is definitely experiencing a resurgence, although it's important to ensure the tone is just right. Think gentle matt gold and rose shades. For a complete overhaul, widen your search to include expansive vanity furniture, with marble or granite tops and integral basins. As well as providing ample counter space, they’re right on trend. To resolve the morning rush for the bathroom you may have already thought about having two washbasins. The next step is his-and-hers showering. Separate a large walk-in space with two individual showerheads & controls and two screens. Twin features, such as two basins, double-ended baths and spearate storage cabinets are a nod towards boutique hotel bathroom styling. No not totally, as we seem to be falling back in love with monochrome. Matt black taps look as if they’re here to stay and with edgy black and darker grey accents, monotone schemes are still the perfect way to introduce moody sophistication to your bathroom. Left: Duravit Vero countertop twin basins with L-Cube furniture unit. You'll find Vero on display at all of our showrooms with L-Cube at Nottingham, Grantham and Chesterfield. Right: Duravit Durasquare on display at Grantham & Derby, and with a chrome console at Nottingham. 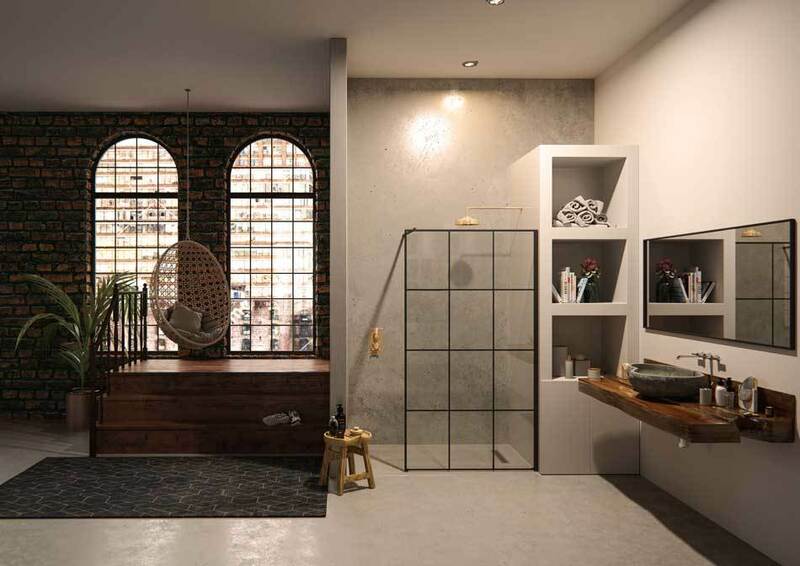 Shower screen manufacturers are copying the on-trend look of the classic Crittall window to offer an urban, architectural style for bathrooms. There’s really no need to fuss around in the mornings turning the shower on by hand and/or adjusting the settings. The new Aqualisa Q™ smart shower greets you with a ‘Hello’ and lets you create and save your own unique combinations of temperature, outlet, flow and duration. Imagine repeating that perfect shower every time. What a divine wake-up call! Bathroom designers are moving away from hard, angular lines towards creating accessories and fittings in flowing, organic shapes. Accent lighting brings focus and texture to your bathroom. Use it to highlight your favourites - a painting, group of accessories, or a wash of light across a wall for a warmer and more intimate feel. White metro tiles are rumoured to be have had their day! But if you still love them go for a truly bold colour, or statement like here. There are lots of layout options with metro tiles. if you're looking for more impact the herringbone pattern shown here is a good choice and you could opt for a striking contrasting when choosing the grout colour. For 2018, texture, colour, pattern and unique designs are all on the shopping list. And if you think BIG, there’s far less grout to clean! Artisan lotions in chemist style bottles look beautifully old-school, are kind to your skin and a perfect way to dress your bathroom. So last, but by no means least, treat yourself to some luxury bath oils, lotions and soaps before soaking away those autumn chills.